The Bowflex Xtreme 2 SE is a Home gym, available in a very reasonable price. 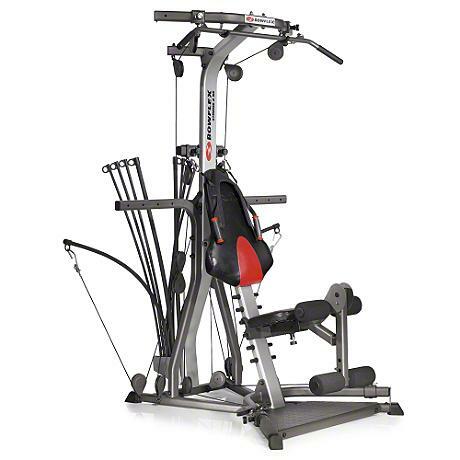 It lets you change exercises more quickly and easily with no cable changes needed between exercises.The Bowflex Xtreme 2 SE Home gym has ab crunch shoulder harness and ergonomically designed adjustable seat for a better and comfortable workout. Revolutionary No-Change Cable Pulley System- Lets you move from squats to lats to leg workouts without ever changing cables. That means you’ll save time and keep your heart rate up as you progress through your workout. Ergonomic Adjustable Seat with Polyurethane Cushion– New design provides added back support for leg exercises and knee support for lat exercises. Lat Tower with Angled Lat Bar- Build back and shoulder muscles quickly with this integrated tower. 4-Position Lower Pulley/Squat Station– Use this station to do squats and build your glutes, hamstrings and quads. Leg Extension- Use for exercises to develop strong, muscular legs. Abdominal Crunch Shoulder Harness- All new ab harness and ab pulley bar help you build strong, defined abs. Compact Size for Smaller Workout Space- Gym-style vertical workout position. Reinforced “X”-shaped base for maximum stability. 5-Way Hand-Grip/Ankle Cuffs– Unique handgrip is designed to add flexibility and performance to any workout. Functions include a Regular Grip, Non-Grip Cuff, Ankle Cuff, Foot Cuff and a Shoulder Cuff. 210 lbs of Power Rod® Resistance Standard– Bowflex® Power Rod® units give you resistance, or weight, that feels as good as or better than free weights but without the inertia or risk of joint pain usually associated with free weights. The Bowflex Xtreme® 2 SE comes standard with 210 lbs / 95 kg and is upgradeable up to 310 lbs / 140 kg or 410 lbs / 186 kg! Multiple Cable/Pulley Positions- Designed to change your angle of resistance – increases the effectiveness of many exercises. Owner’s Manual/Fitness Guide- Complete with detailed instructions for each exercise. *Note: Most of the sites, stores or shopping portals listed above sell Bowflex Xtreme 2 SE Home Gym with discounts and other exciting offers. There is a possibility that the some of above websites are not selling Bowflex Xtreme 2 SE Home Gym now. Toughtrain.com is not liable for such cases or instances. Also we do not recommend any seller for Bowflex Xtreme 2 SE Home Gym and a buyer should buy from where he/she gets best deal with quality of products, service and on time delivery (shipment).